← Geopolitics & Global Trade — China & Russia — Changing the Rules? New Trade Developments — Increasing Conflict between the EU and Russia ……………..
Really interesting global trade developments the last two weeks. They involve the EU and Russia (antidumping and countervailing duties), China (investments in U.S), the OECD (global taxation), the IMF (international bankruptcy), state trade incentives (Virginia), EU antitrust enforcement (Google), Mexican sugar tariffs, and more. Of particular interest is the growing WTO litigation between the EU and Russia over a number of trade issues. I’m wondering what this might indicate about the importance of trade to their foreign policy and what this evidences as to Russia’s role in the global trading system (after joining the WTO in 2012) and in the larger international political system. Here’s some specifics ………………..
…. Yet another action filed by the EU against Russia. Involving duties on various products. WTO litigation is heating up between them. Part of deteriorating EU – Russian relations? Trade is a critical part of foreign policy. We’ll see. “EU Files Against Russia.” WTO News (Oct. 31, 2014). …. This is an example of the importance of foreign trade missions by state governors. Here a Chinese firm has announced a new direct investment into Virginia as a consequence of the governor’s trade mission to China. “China Invests in Virginia.” Richmond Times-Dispatch (Oct. 31, 2014). …. An historic agreement was signed this week under the auspices of the OECD and G20 that will significantly boost the ability of many nations to combat tax evasion and bank secrecy. It requires the automatic exchange of taxpayers assets and income outside of their home country. This U.S. is following its own path under the 2010 FACTA legislation. “Automatic Exchange of Information.” OECD News (Oct. 29, 2014). …. The IMF proposal for creating a new international legal context to handle sovereign debt bankruptcy is back on the table with the IMF’s suggestion for a Sovereign Debt Restructuring Mechanism (SDRM). “International Legal Regime for International Bankruptcy (Sovereigns Debt Defaults).” “International bankruptcy Law.”” Financial Times (Oct. 29, 2014). …. Aggressive EU antitrust enforcement especially against Google is part of today’s global business landscape. “EU and Antitrust Enforcement (Google and Gazprom).” Financial Times (Oct. 28, 2014). …. State incentives are crucial to compete in the global economy. Foreign Direct Investment is critical for economic development. Opposition to this is often based upon purely pie-in-the-sky thinking. The Virginia General assembly needs to fund the state incentive programs. They result in more growth and employment. They act as a multiplier in generating growth. “State Incentives and Foreign Investment.” Washington Post (Oct. 28, 2014). …. The U.S. has imposed both antidumping and countervailing duties on Mexican sugar imports. The U.S. prices are already among the highest in the world. A subsequent agreement with Mexico will lock in somewhat higher rates. This “sugar protectionism” doesn’t sit well with our trading partners. This again raises the issue of who does the U.S. import remedy legislation really protect — The producer or the consumer? Many argue these older laws need to be revised to focus more on U.S. consumers. I agree. “New Sugar Tariffs and New Mexican Agreement.” Wall Street Journal (Oct. 27, 2014). 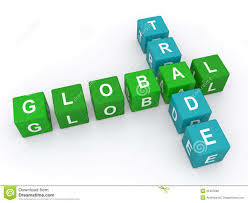 This entry was posted in Global Trade Relations and tagged China investment into Virginia, EU and Russia in the WTO / DSU, EU antitrust enforcement (Google and Gazprom, Governor trade missons, Mexican sugar tariffs, Russian ADD and CVD on imports from the EU, State trade incentives and foreign investment. Bookmark the permalink. 1 Response to New Trade Developments — Increasing Conflict between the EU and Russia ……………..